We believe that owning a spa is one of the best investments you can make to your health, helping you to relax and reduce your stress levels. Peace of mind begins with the knowledge that you have bought the right spa from the right company. 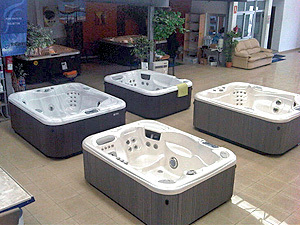 HotSping™ Spas have been around since 1977 and have led the spa industry in design and innovation ever since. All HotSpring™ spas come with a Lloyds ISO 9000.2000 certification - the highest standard for design and quality in the world. 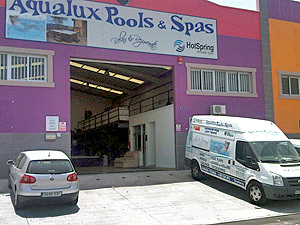 Aqualux Spas is an Anglo-Canarian company established in Tenerife in 2004. We are part of HotSpring’s™ worldwide network of exclusive dealers and have sold over three hundred spas here in Tenerife. We have endured the pressures of economic decline and local competion and emerged as the leading spa specialist in Tenerife. We understand that many people are making a spa or hot tub purchase for the first time so we make the entire process from choosing the right spa to eventually looking after it, as smooth and informative as possible. All our clients can relax knowing that they have bought one of the best made Hot Tubs from a company whose after sales service is second to none for advice, accessories and technical backup for as long as they own their spa. For more details please call or come and see us in Las Chafiras.